This revitalising duo contains one 500ml bottle of Pure Spa Low Foam Bath Essence in Seaweed & Horsechestnut plus one 250g tub of Pure Spa Dead Sea Bath Salts in Cleansing Rosemary - great for cleansing and toning tired minds and bodies especially through the dark months of winter and the perfect gift for that special someone! Suitable for Whirlpools, Spas & Jacuzzi type baths. Use sparingly. Oil free formulation developed especially for use in Whirlpools & Spa baths. Made with 100% natural dead sea salt & perfume oils. 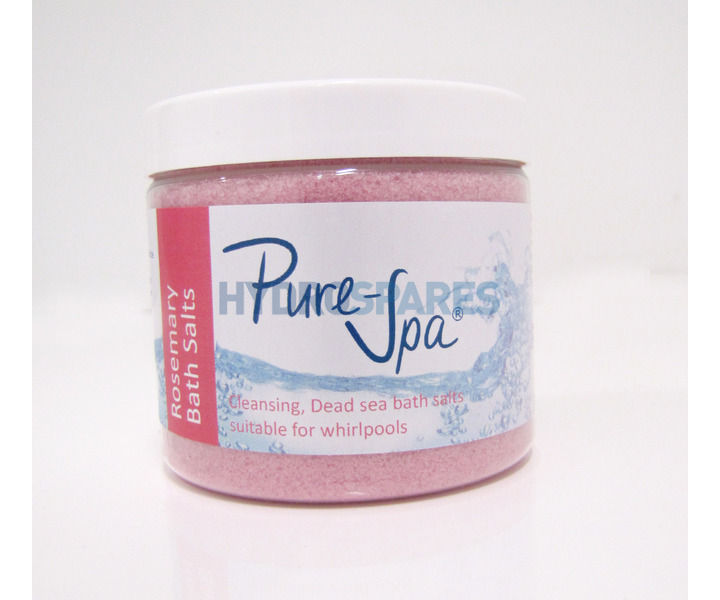 Dead Sea bath salts help to open the pores and will naturally lift impurities away from the skin by removing dirt, sweat and toxins. Made with 100% natural dead sea salt, perfume oils. 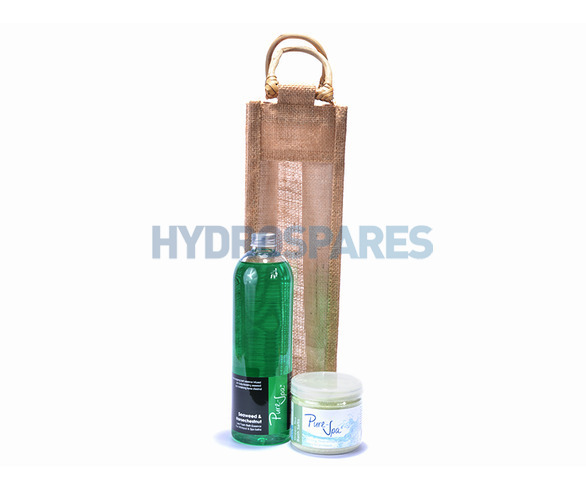 Sprinkle into bath water for a luxury spa treatment in your own home! Also use as a non-greasy scrub in the shower or footbath. For a bath; dissolve 5tbsp of bath salts into the water at approx 36-38 degrees C.
Approx 3 applications per bath. Duration of a bath 15-20 minutes. Perfect for after a workout.